Michelle R. Howard-Vital was born and educated in Chicago, Illinois, to Dolores Elizabeth Howard and Robert Frank Howard. She earned her undergraduate degree in English Literature and Language and her Masters of Arts in Teaching English from the University of Chicago, and earned her doctorate in Public Policy Analysis from the University of Illinois at Chicago. During her years at UNCW (1993-2003), Dr. Howard-Vital served as Vice Chancellor for Public Service and Continuing Studies and Associate Provost and Professor of Specialty Studies. With the support of Chancellor James Leutze, a man she admired and regarded as her best boss and mentor, she expanded UNCW’s services in the Cape Fear region and helped to ensure that the institution provided the region with much more than classroom instruction. Dr. Howard-Vital secured millions in grants for the institution, helped grow the Small Business Development Center; lead the development of the UNCW conference center for corporate training and off-campus classes, including for soldiers at Camp LeJeune. Using technology to expand UNCW's service to the greater Wilmington area, she implemented the UNCW TV public service channel and the "UNCW and You" television program. She also enabled greater technology transfer between the university and regional businesses, county departments, and other agencies. Working with Dr. Leutze to grow UNCW's reputation, Dr. Howard-Vital collaborated with colleagues to implement the "Digital Communities" project with universities in Japan, offering academic courses live via internet. One of the primary supporters of the "Great Expectations" program that identified and nurtured rising minority high-school scholars, and the Stompin' at the Savoy annual fundraiser, Dr. Howard-Vital was both a major proponent for opening doors for students of color, and a force in raising hundreds of thousands of dollars to pave their way. She was also prominent in the recruitment of diverse talented faculty and administrators. As a Associate Vice President for Academic Affairs at the University of North Carolina General Administration, Dr. Howard-Vital verified the capability and credentials of institutions wishing to function in the state. Further, she served as Interim Chancellor at Winston Salem State University (2006-2007), a member of the State Board of Education for the State of North Carolina (2001-2007), and successfully led two institutions to reaffirmation of accreditation granted by the Middle States Commission on Higher Education. 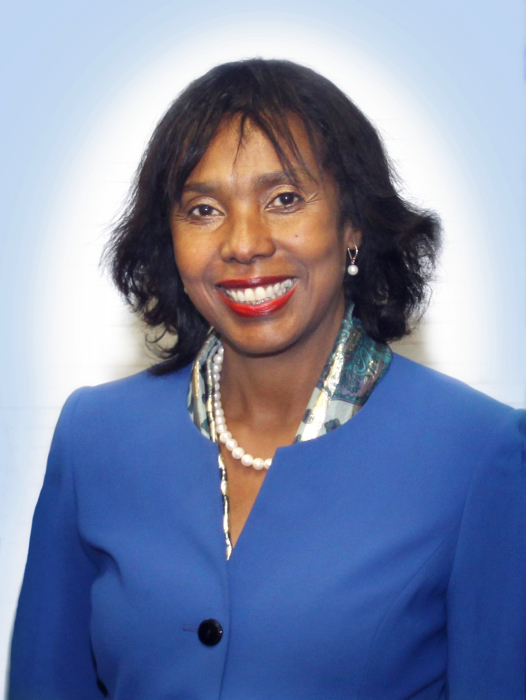 Unanimously selected by the Board of Governors of the Pennsylvania State System of Higher Education to lead the historic Cheyney University into the 21st century, Dr. Howard-Vital started her presidency in 2007 at the Nation’s Oldest Historically Black institution and worked to help transform the lives of many disadvantaged students. In spite of the institution’s history of deferred state maintenance and public image of “struggling,” Cheyney’s 11th and first woman president recognized its past impact and its great potential for underserved communities. Under her leadership, the university’s image improved with unprecedented publications and advertising to promote the institution’s impressive accomplishments to the public and stakeholders. Moreover, she helped enhance the Keystone Honors Academy program and host public forums with renown speakers such as Dr. Maya Angelou, Director Spike Lee, Dr. Cornel West, Pulitzer Prize winning novelist Alice Walker, Mrs. Harriet Fulbright (Fulbright Scholars), and Scholar Angela Davis, to name a few. These speakers were brought to the campus to engage the students and community in academic dialogue. Former President Bill Clinton also visited the campus (earlier visited by Jimmy Carter) and interacted with students and community leaders. Because of her love for students, Dr. Howard-Vital would regularly be seen planting and tending flowerbeds before work and on weekends to enhance students’ experience. She would walk the Cheyney University campus and greet students and engage them in conversations to understand their concerns and problems and mentor them. With improvements in student facilities, common areas, and much-needed redecoration or replacement of aging residence halls, student satisfaction improved. Dr. Howard-Vital also initiated the development of a University College program to help retain and increase students’ progress towards graduation. Securing the support of the Board of Governors, local legislators, and senior staff, Dr. Howard-Vital was able to bring a new, 400-bed student residence hall—the first such new structure at in over 30 years–to Cheyney University. In addition, funding was secured for a new cutting-edge, LEED-certified science center and planetarium—the first new academic building in about 30 years—in addition to other capital developments, such as the reconstruction of the first building on campus into an honors residence, the renovation of the Marian Anderson Music Center, the addition of a professional-grade graphic arts lab, renewal of a wastewater treatment plant for the community, and many other needed infrastructure upgrades. After leading the University to a successful reaffirmation of accreditation from the Middles States Association, an adverse shift in local and state system politics compelled Dr. Howard-Vital to retire from the presidency and return home to North Carolina rather than cooperate with damaging the University and reducing the service to students from low-income families. Recognizing that many have helped her throughout her career, Dr. Howard-Vital believed in honoring her supporters by “paying it forward” in the form of contributions to scholarship funds and volunteer work for organizations like the American Council on Education as a Senior Fellow, American Association of State Colleges and Universities (AASCU), the Professional Women’s Organization of LaRabida Hospital, The American Red Cross, The Links, Inc., and others. Dr. Howard-Vital has authored or co-authored many book chapters, articles, reviews, professional papers. Dr. Howard-Vital has published numerous articles in electronic journals, as well as a personal blog (her blog site is michellehowardvital-phd.com). Her last work was done in collaboration with her daughter for an anthology entitled, “Michelle Obama's Impact on African American Women and Girls” (Palgrave-Macmillan, 2018). Other titles of her works include, “Entrepreneurship Education: A Cautious Ray of Hope in Instructional Reform for Disadvantaged Youth” (Rasheed & Howard-Vital, 2006); “Listening to Students: The Appeal of For-Profit Institutions” (2006); “Structuring a Supportive Environment for Women in Higher Education” (2006); and “Precollege Bridge Programs: Lessons learned in preparing students to pursue study and careers in the health sciences” (2007). Dr. Howard-Vital has received numerous awards and recognitions for her service in higher education, including: The Women of Distinction Award by the Philadelphia Business Journal (2012); the Women Cultivating Women Award in honor of Mary McLeod Bethune (2010); the Association for Black Women in Higher Education Award for Leadership for founding its Chicago Chapter (2002); being recognized by the University of Chicago as one of its outstanding graduates; and being given the Distinguished Alumni Award, by the University of Illinois for her contributions to education in the areas of scholarship, teaching, service, and administration (2000). The acknowledgements of service she appreciated most were the notices of exemplary achievements, letters, cards, phone calls, and emails of gratitude from former students of the institutions where she worked or taught. Dr. Howard-Vital’s pastimes included reading, posting inspirational blogs, gardening, traveling, interior design, and mentoring aspiring young leaders in higher education. Michelle loved students and firmly believed in the transformative power of higher education for the individual and for the strength of this country. She preferred leading by example, served as a mentor to many students, and worked tirelessly to maximize student potentials and opportunities to contribute value to the world. She regularly stressed the value of gaining specialized knowledge and often lamented, "We need educators and critical thinkers now more than ever–from all segments of society–if we hope to compete as world leaders." Currently, only two memorial services are being planned: At 1 pm on September [ HURRICANE UPDATE: CONTACT CAMPUS or EMAIL BELOW TO VERIFY NEW DATE. ] in the Madeleine Suite of the University of North Carolina at Wilmington, 601 S. College Rd, Wilmington, NC; and at 1 pm on October 13th at Saint Sabina Church, 1210 W 78th Pl, in Chicago, IL. To receive notification of dates and locations if others are planned, email mrhvital@gmail.com.